On Saturday, June 30, demonstrations worldwide will protest against the Trump administration policy that has led to the separation of families and the detention and abuse of thousands of immigrant children. The administration came under fire last week as heartbreaking audio, pictures, video, and stories -- showing children in cages inside ICE detention centers -- were made public, prompting a massive national outcry. President Trump's response was to sign an executive order to keep families from being separated, but that order does nothing to reunite families still separated or solve the crisis created by the Trump's administration's zero-tolerance approach. This weekend, in at least 628 demonstrations around the world, people are taking to the streets to demand that the administration put a stop to those policies. The demonstrations on June 30 known as the Families Belong Together protests are being organized by a number of different non-profit and activist groups. The lead partners in the effort are the ACLU, Leadership Conference on Civil Rights, National Domestic Workers Alliance, and MoveOn. US Representative Pramila Jayapal of Washington put out the call to action on Monday, June 18. Here's everything you need to know about the one in DC this weekend. Where and when will the protest take place? The protest is from 11am-2pm in Lafayette Square in DC and is wheelchair accessible. As of now, there is no specified marching route. Public transportation is the best way; either the train or the bus. You can plan your Metro route here. There are also some groups that are organizing buses to DC for those outside the city. If you want to hop on one, use Google to find out whether someone is organizing one near your hometown. (It’s how I got the Climate March in DC last year!) If you want to organize your own bus, tell dclogistics@moveon.org and they can support you in finding a place to park it once you arrive. Yes, signs are welcome. Some examples of what to write: Keep Families Together; La Families Merecen Estar Unidas; Families Belong Together; Familias Unidas No Divididas; End Family Detention. Here’s a helpful little chart on messaging Do’s and Don’ts, plus some sign ideas of your own if you're making them. How should I prepare for the weather? The organizers of this event want everyone to wear white to unify under one color and show solidarity. Which is convenient, because white is also a good color for the hot, sunny day it’s predicted to be. It’s always good to start drinking water early on if you’re going to be outside in the heat all day to stay hydrated. Wear breathable clothing to stay comfortable and as dry as possible. How else can I be a part of the movement? Before: Sign the petition to get updates on ways to take action, add your name to demand to stop separating families, and sign up for emails from Families Belong Together and National Domestic Workers Alliance here. Find out more about donating on the Families Belong Together homepage. If you want to get your organization involved, they provide a form for that, too. During: Share your experiences on social media using the #FamiliesBelongTogether hashtag. Bring people! (This is a family-friendly event.) You can sign up to be a volunteer at the event as well. After: Direct others on how they can help, donate, and get involved in the Families Belong Together actions too. Vote in November! Can I buy merchandise to support the cause? The families separated at the border cannot get released until they pay the amount of their bond, which ranges from $1,500 to $10,000. All merchandise purchased here (via The Outrage) will be donated to RAICES Bond Fund and to the FamiliesBelondTogether.org. campaign to reunite families that have been separated at the border and stop Trump’s ‘zero-tolerance’ policy that is detaining families indefinitely. Also, jackets spoofing Melania Trump's are on sale, after her decision to wear an "I really don't care" jacket to a Texas detention facility. 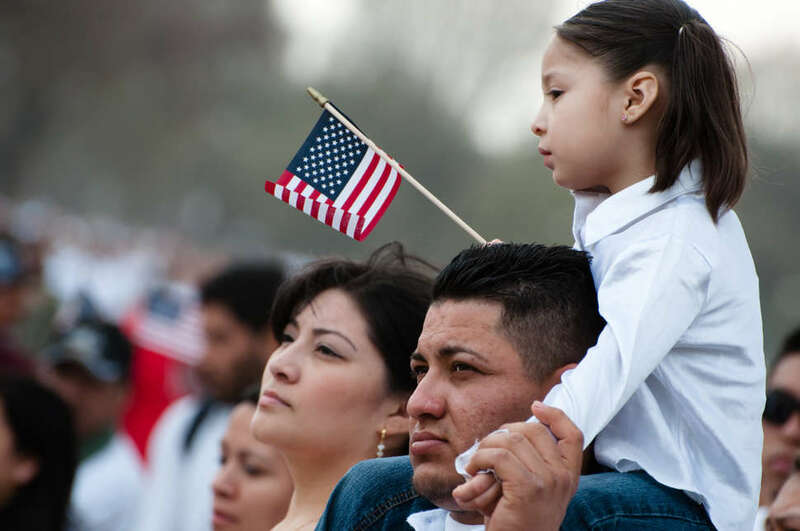 RAICES family reunification and bond fund is a nonprofit that provides free and low-cost legal services to immigrant families in Texas. What if I cannot make it to DC? 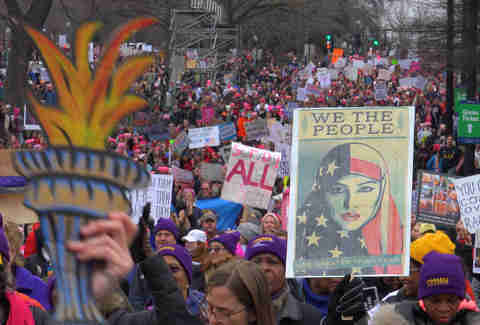 You can search for any of the hundreds of Marches popping up worldwide by zip code. Each event is likely to last about 2 hours. Start times and location are posted on the event page for the event in your town. You can message the host from your Event Dashboard after you RSVP and you ask any specific questions you may have.